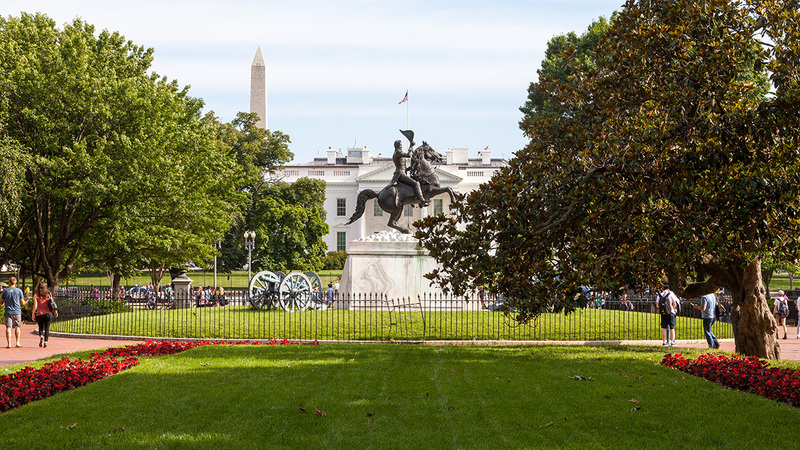 Located directly across Pennsylvania Avenue from the White House, the seven-acre park was conceived as part of the 88-acre President’s Park by the L’Enfant Plan of 1791. 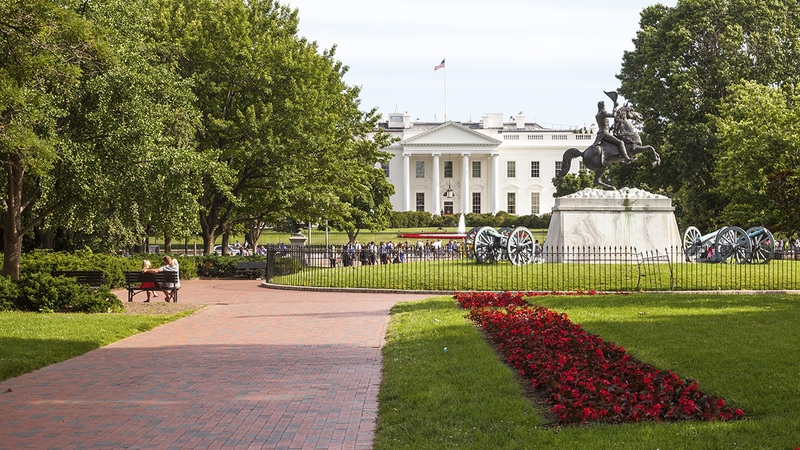 Thomas Jefferson designated the area as public when he cut Pennsylvania Avenue through the site in 1804, separating the land from the White House. The first walks were laid out in 1824. Used for many purposes, including a market, zoo, and encampments, the park was named in preparation for a visit by the Marquis de Lafayette to the United States. Andrew Jackson Downing completed a plan for the space in 1851 but, aside from the 1853 bronze equestrian statue of Andrew Jackson, the Civil War delayed implementation of his design. 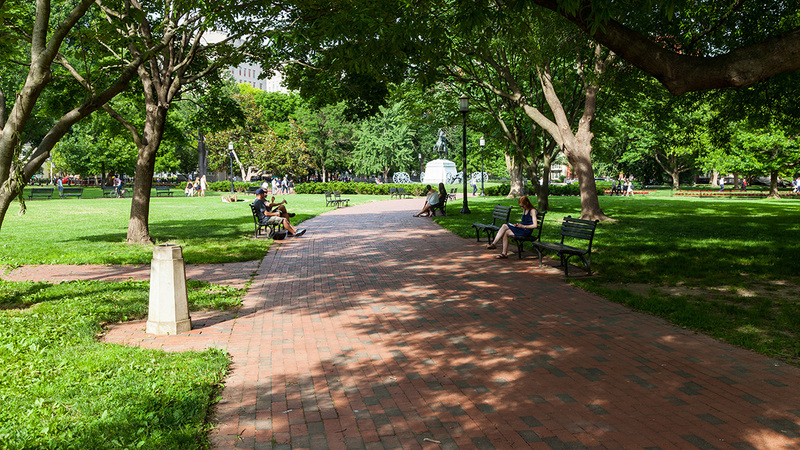 Today the wide, brick paths radiating from the centrally-located Jackson statue and the encyclopedic planting of regional trees generally reflect Downing’s plan, the result of major landscaping projects, first in 1872 and then in 1936. At each corner of the park are statues commemorating foreigners who fought alongside the Continental Army during the Revolutionary War. 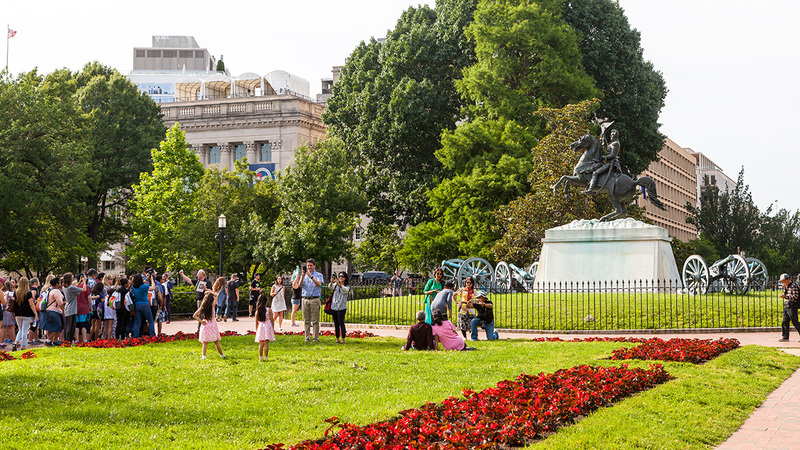 When many buildings surrounding the park were threatened with demolition to make way for new executive office and court buildings during the Kennedy administration, Jacqueline Kennedy made it her mission to save Lafayette Square. John Carl Warnecke Associates was hired to preserve the history and character of the buildings and the park. They added elliptical pools, original Downing plan features, and replaced the concrete walks with brick to emphasize the historic character of the park. 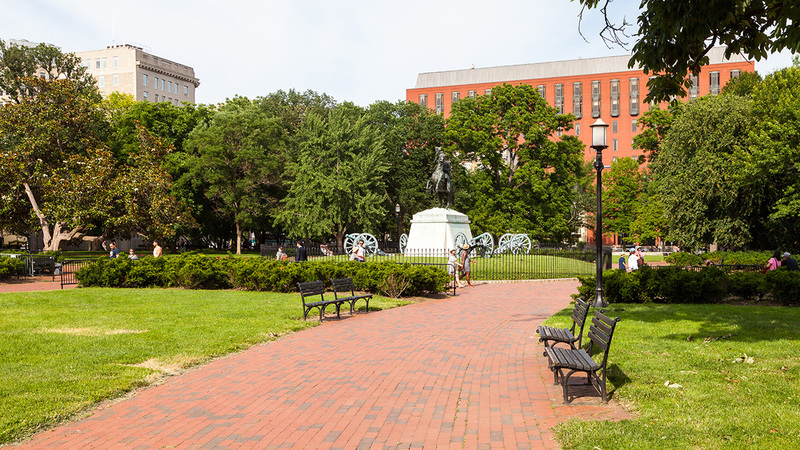 Kennedy’s activism on behalf of Lafayette Square led to the enactment of the Historic Preservation Act of 1966. 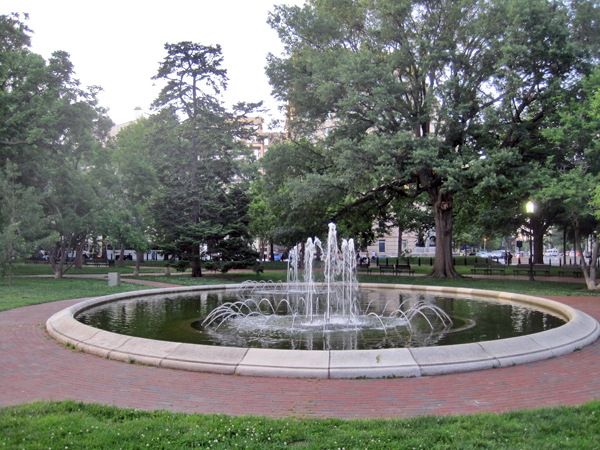 Lafayette Square including the park was designated a National Historic Landmark District in 1970.